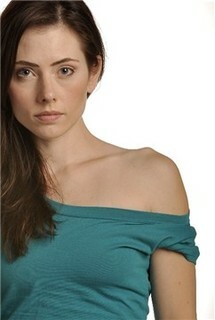 Adrienne Wilkinson has given us the privilege to interview her for the site! Many of you shared questions on our forum, we made a selection of the best and most relevant questions that have been proposed. Thanks to you for having contributed to this interview. Hello Adrienne. Thank you to agree to this interview. You have many fans in France and they are all very excited to ask you some questions. Hi. Thank you for the opportunity to connect with the French Fans. How did you get the part of Eve/Livia? It was a normal audition process. They were auditioning for the role of Livia, Empress of Rome - who would be Xena's nemesis for a couple of episodes. My agent submitted my materials, and I was called in for an audition. I actually had to turn down the audition twice, as I had a scheduling conflict - I was working on another job... But a few weeks passed and they were still looking to cast the role. I went in and read for them, and it went well, so I met with the producers. At the time, I thought I wouldn't get the part because I looked too much like Lucy Lawless and they usually cast enemies to look quite different from one another. It was only after I was hired, that I was told the role was not only the Empress of Rome, but also Xena's daughter, and after my initial 3 episodes the role expanded. Were you asked to do amazing things when playing the role of Livia, physically or otherwise? I'm not sure exactly what you mean by 'amazing', but yes - a lot of what I was asked to do, was new to me and quite fantastic. The role of Livia was the first time I was involved with professional stunts and with some of the more dramatic tools of filmmaking - fire, wind and rain machines, working with horses on screen etc. I did not do any of the flips that you see in the fight sequences, but almost everything else is me... The fight choreography etc. And some of the situations we were filming, were quite surreal - battle sequences, love scenes, ghosts and demons, the portal to hell... The series was full of such epic dramas. The most 'amazing' things were shooting in New Zealand at all of these breath taking locations, getting to wear such spectacular handmade costumes, and working with such a brilliant cast and crew. You've often been asked how it affects you to go from Livia character to Eve character. Sincerely, acting as Eve wasn't too boring compare to acting as Livia? There was a huge difference between playing Livia and Eve. And when I was hired, I had no idea of the transformation that Livia would go through. I've often said that Livia was the more fun role to play. Once I learned how to fight, I really enjoyed it. Livia was more exciting and physically challenging to play. But the role of Eve had its own challenges. Eve lost a lot of the 'fire' that Livia had... But she had an inner turmoil and a deeper journey that she was going through. While Livia expressed herself outwardly, Eve's battle was raging inside of her. Livia was the more 'delicious' role to play... But I think Eve's story is just as riveting on a human level. I just had to work more on filling in the gaps in her story and finding the truth of her circumstances - all she felt guilty for... All the relationships she had grown up without, the way she was craving connection to her real family as well as wanting to find redemption and meaning in her life. Amongst all the episodes you acted in which ones were the most fun to make and why? There was something fun/special about each episode... I loved working with different cast members and different directors, and at multiple gorgeous locations - Kevin and Ted were always hilarious, Tsianina and Alex were so sweet and Lucy and Renee were always such fun to work with. Truly, everyone was great and I was so lucky to work with them all. And I loved the treats that each episode brought... Working on the ship in Who's Gurkhan, cursing in You Are There, dealing with the sand dunes in Motherhood... But I probably had the most fun with my character in the episode Eve. I particularly enjoyed those fight scenes and the revelry that Livia had in her own power. My favorite episode as the character Eve, would have been You Are There. As a spectator of the show, which character do you prefer and which one would you have dreamed to play? More than any particular characters, I just wish that I had been able to experience additional parts of the show. I would have loved to have been involved in some of the more outrageous episodes - a musical, or one of the 'future' episodes. I would love to have seen Eve grow... To really find her place in the world. I always imagined she would eventually find a balance between her warrior self, and her spiritual self. Find the perfect combination of her two 'callings' so that she would become a new kind of warrior - one who had these fierce skills but fought for good and never with blind rage. One who could trust herself to use her talents for a greater good. In terms of characters - who wouldn't want to play Xena or Gabrielle? That would be fanatic. I also think the role of Aphrodite must have been very fun to play. I love that I got the chance to play a Furie for a few days - that was great fun and I imagine those actresses really loved it. How can you explain that 15 years after, the show enthralls even now? Well, obviously it is mainly because Xena fans are the *best*. Its been such an unexpected pleasure to have the support, loyalty and interest of fans follow me through the years. Its been a blessing for the entire cast. But I also think much of it has to do with the nature of the show. Different viewers got different things out of the story.... But the adventures were classic and timeless and appealed to a very wide variety of people and cultures. The relationship between the lead characters was one that so many people could relate to, and the idea of redemption and good versus evil are always compelling. The stories were epic and intimate at the same time... You saw so many relationships grow and change, so throughout the show viewers witnessed all life offers us: birth, death, beauty, violence, joy, heartbreak... All of it. What's your best memory on the Xena set? I have so many. I don't know that I could pick just one. My first trip to New Zealand, I was there for almost a month. I was so busy when I first got there, that I barely had time to breath, but several times during that trip, I would just have these moments of being shocked by how lucky I was and really trying to embrace the moment as I was in it. Everything just fell into place. I loved the character I was playing, I loved who I was working with, where I was working and felt really fulfilled by the experience. A couple of family members visited me when I was there and through their eyes I was able to see the magic, even more than on my own. On my last day of shooting everyone gave me a standing ovation - which shocked me. In a matter of weeks, the cast and crew had come to feel like family and I really felt like I was holding my own in the crazy machine that is a TV series. It was fantastic. I heard that Renee will be making an appearance in France later this month. Renee is such a special woman, and I hope you will all make time to attend the event and meet her in person. Working with Renee was a treat. In addition to being so talented, she is also a very generous actor - always completely there for you from the first take to the last. Working with Lucy and Renee was everything I had hoped it would be when I booked the job. Two hard working, fun, silly, sweet, funny, smart, brave, adventurous women that I was lucky to work with, to laugh with, to learn from... and whom I will always be grateful to know. Could you tell us an anecdote with Kevin Smith? Kevin was hilarious. And always very self deprecating. He had a brilliant sense of humor and told great stories. I worked with him, more than with any other actors in my first couple of weeks on set. He was charming and so sweet and helpful. He helped me to focus on the work instead of my nerves. He looks intimidating, but he was the opposite of that - he was a sweet, charming gentleman. He was always talking about his wife and his kids and telling me all about New Zealand. I remember one day -- he and I were rehearsing a fight sequence with our stunt doubles. My double at the time was pregnant (she was shot from certain angles, you couldn't tell she was with child) and we all started talking about having children and Kevin shared the story of his sons birth. It was a beautiful moment. With hindsight, was the show positive or negative for your career? I will always be grateful to the show. It was a wonderful experience that was extraordinary to be part of. The show didn't always get the credit it deserved in terms of the level of talent (of everyone everyone involved in any capacity) and hence it didn't always bring as many new opportunities as would have been expected for the number of viewers we had. But it was a positive experience for my life and I hope to find projects in the future that are just as exciting and to play characters that are just as juicy. How did you decide to become an actress? I was a dancer all through my youth. I was living in Missouri at the time, and when I was 17 I took an acting workshop on a whim. The first week of the class, I was able to meet casting directors from Los Angeles. Through that experience I was offered a job on a soap opera. I was still in high school and my parents didn't want me quit school, so I passed on that job... But it did light a fire in me. I immediately loved acting and decided to pursue it as a career. I moved to Los Angeles and started working shortly after I graduated. You performed the voices of many video games' characters, what do you prefer, be an actress or make voices? They are both acting - one is acting on screen, and the other is acting through animation or in other forms. I give 100% regardless of what form the role comes in. I enjoy both mediums. They both have their benefits. Voice acting is much faster and you can play many characters that you couldn't play on screen - different ages, ethnicities, different creatures... You can also play several roles in one project. You can record entire episodes of animation in only a few hours or a day. It takes a week or more to shoot most episodes of television. And if you are shooting something requiring special effects, you may only shoot part of 1 page on a film - so that is a vast difference between screen and voice work. You can also combine the two... When I played Maris Brood in Star Wars: The Force Unleashed, not only was I the voice, but if you look at the art - I was also the face and image of the character - and we filmed it all in motion capture... So that particular project was a hybrid between animation and on screen performance. But I love being in front of the camera and I hope to do much more work on both television and film. There are dozens of characters that I hope to get the opportunity to play, in the future. During Xena convention in LA in February 2010, we had the chance to discover the short film "Reflections." Could you talk about it for the French fans that didn't have the chance to see it? Can we hope to get a film from it? And hopefully we will be able to turn the project in to a full length feature or more in the future. There has been a lot of interest and a lot of talk about expanding the project - so I hope it happens! You are a great singer, you never thought of doing an album? But, I do hope that my career brings me further roles where I can use my voice in that way... I'd love to play a sultry chartreuse of the early 20th century, or maybe be part of an on screen musical. But even more than that, I would love to dance on screen. I was a dancer for years before I ever thought of acting - and I have never had the chance to use that skill in a project... So I hope that happens soon. I have a small but significant role in season 2 of the series, and there is potential for my character to come back and do more in the future. If a fun show led by Crystal Chappell and Galen Gering. 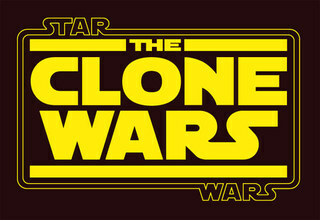 Star Wars: The Clone Wars - I play a juicy role in season 3 of The Clone Wars. You are involved in various charities. Could you tell us more about them in order for the French fans to get involved along with you? There is a wide variety available for purchase. All shipping is included. All proceeds will go to support the annual charity auction which benefits families dealing with medical issues and medical expenses. You can request personalization and payment is made conveniently and securely through paypal. I will ship them all immediately. From now through September 1st, I will be selling photos on my site 'buy 2 get a 3rd one free'. Buy two and in the special instructions just list the 3rd picture you would like to have. I have photo's available from Xena, Star Wars, Angel, Charmed, several headshots and publicity shots and many limited edition images to choose from. Separately there are also photo packets, press kits and other items available. Last but not least, what's the most incredible thing that a fan did for you? I have a wonderful team that helps me run my website and online presence, and everyone involved in that, I met through Xena. They started as fans of the show and moved on to friends, and eventually became part of my team. I am very lucky to have their support and their technical brilliance. And what's the most incredible thing YOU did in your life? I'm not exactly sure what qualifies as 'incredible'. Generally speaking, choosing acting as a profession is high on the list. I'm a very 'type A' personality, so working in a career field that is so unpredictable is not my usual style. It was a very unexpected choice for me to make... But it has taken me all over the world, into the grandest adventures and allowed me to collaborate with fabulous people. Adrienne, thanks to you to be so adorable with the fans. We were very glad to interview you, thank you for this opportunity. I hope we can share a lot of time like this one in the future. Thank you! Thanks to Adrienne for her generosity and her love for Xenites. She is a remarkable woman and I was very happy and lucky to interview her. Thank you.